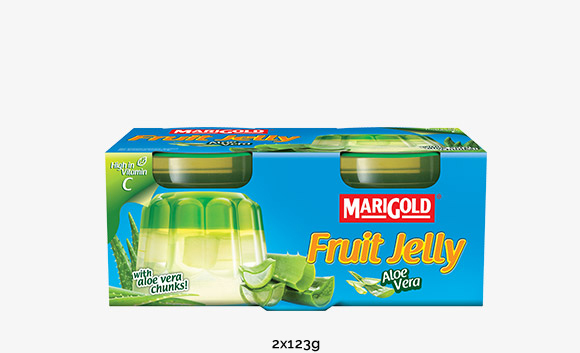 Double-layered for double the pleasure, MARIGOLD Fruit Jelly is a wonderful little delight in a cup. 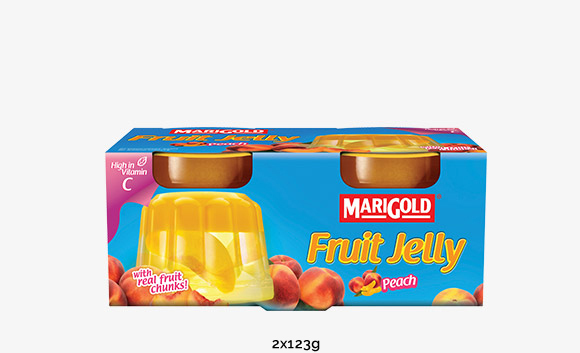 It’s a cool and refreshing dessert that’s packed with fruit pieces so you get more with every bite. 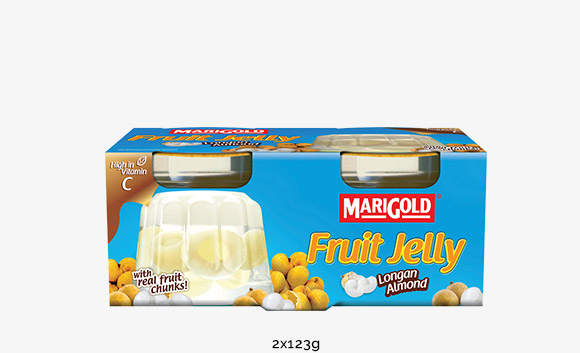 Made from natural ingredients and without any added preservatives, MARIGOLD Fruit Jelly is a fabulous treat for any occasion, perfect as a light and healthy snack or dessert after a meal. 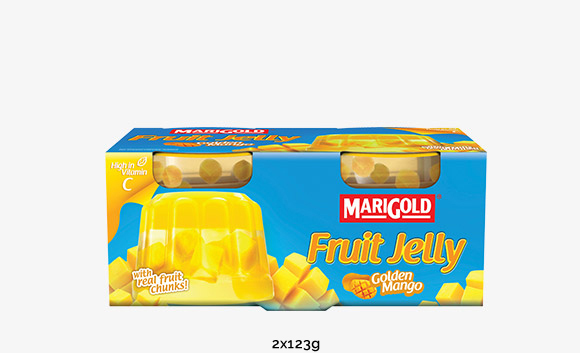 MARIGOLD Fruit Jelly contains Vitamin C for a less-guilty indulgence! Have a light snack for a mid-day productivity boost! 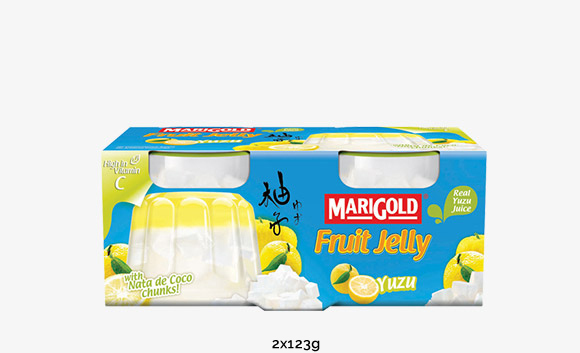 In parent-child bonding time, use MARIGOLD Fruit Jelly as an ingredient in your creative desserts! 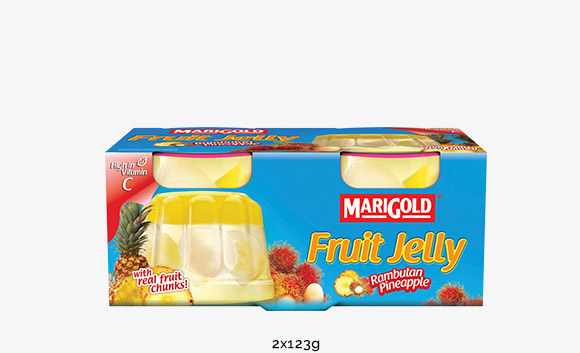 Storage requirements: Keep refrigerated below 10°C.